My 3rd. surgery - at age 51! If other doctors tell you nothing can be done - please try Professor Dr., Dr. Med. 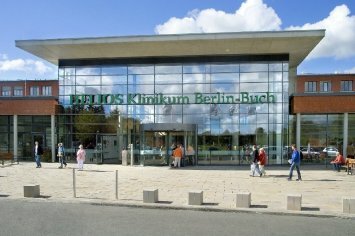 Karl Schaarschmidt - Helios Klinikum, Berlin-Buch. My history with chest-problems began with a tragic accident when I was about 5 years old when I was run over by a motorcycle. Nothing was done at the time even though I was unconscious, could rarely breath and had to stay in bed for some time. But this was Denmark in the countryside in 1970 and nothing could be done at the time I guess. When I was in my late 40's I contacted Skejby Hospital in Denmark. The doctor would not believe that my problems had begun with the motorcycle accident, but I am sure they did. Back in 2011 and again in 2012, I then had NUSS repair with two bars at Skejby Hospital in Denmark. I was very unsatisfied with the result, and it became worse when the bars were removed in 2015 quite shortly after, the chest began to sink even more than it had previously. I was told in Skejby that it was just the way it was and that I had to accept it. It should be mentioned that not only did the chest shink in the middle, my protruding ribs had not been done at all. Furthermore, they told me that a man in my age could not hope for a better result. But they had accepted to do surgery in the first place, and now I was left with an even worse result than before 2011! Of course this was hard for me, but apparently I had to let it go. I started surfing on the internet in desperation, and I stumbled upon a name again and again – Klaus Schaarschmidt. I looked into it - and I am glad i did! After consultation in Berlin Dr. Schaarschmidt found that the problems were increasingly getting worse with heart rage and heart beat. There was an impression in the chest, chest pain on the left side and also back pain. In addition there was a moderate recurrence in the lower sternum with a depth of 2-3 cm (Skejby had messured it to be 0,5-1 cm) also a visible dent lateral and below the left mammilla obviously due to impression by the left stabilizer was infraction of the 6th and 7th ribs between the medioclacicular and left axillar line. Furthermore, there was the problem with the protruding rib primarily in the left side. Today, one month and three days after surgery I must say that I did right in contacting Dr. Schaarschmidt. My flaring rib in the left side is gone. The sunken middle of the chest is much better even though not quite gone altogether, which I had hoped for. But the result is in general more than I could ever have expected. Now I hope that it will stay this way also after removal of the bar in a couple of years. My worst fear is of course that it will start sinking again after bar removal. Furthermore, I do hope that the scars will be better as the left scar is particularly big. I deeply hope that this recommendation of the team and specifically Dr. Schaarschmidt in Helios Klinikum, Berlin-Buch has helped make your decision easier. Especially maybe for those of you dealing with protruding ribs - I am a living proof that they can be repaired. Even if you are almost 52 as I am now and had your 3rd sugery. By the way - Scharschmidt and his team are more dedicated doctors and nurses than I had ever experienced. The doctor himself is clearly a man with a mision :-).